Since 21 May, UK smokers going into a store to pick up a pack of cigarettes have found it tougher to locate their brand of choice. Cigarettes have been hidden in closed cabinets for a number of years, but under the latest tighter regulations, they are faced with a wall of packs in plain packaging. Could restrictions on alcohol advertising go the same way as tobacco? The move seems to mark the final nail in the coffin for overt marketing in a sector that has experienced progressively tighter regulations for years. 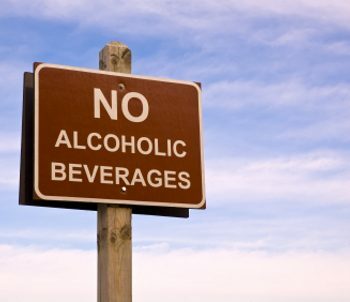 However, it could just mark the beginning of similar restrictions in other sectors, not least the drinks market. Around the world, it is already happening. The World Health Organization has adopted a global strategy to reduce alcohol consumption. France and South Africa have restricted advertising and promotion on alcohol. Indonesia is considering alcohol plain packaging. The UK’s own guidelines are constantly under scrutiny from pressure groups and legislators who perceive them to be too lax. For alcohol brands, the big question is what they should do to respond to these clampdowns, whether potential or actual. While some will adopt a wait-and-see attitude, more proactive brands are already looking to scenarios where they will have to operate in so called ‘dark markets’ where advertising and promotion is banned. Although some markets are totally dark, a more common scenario is that activity is increasingly restricted and regulated (R&R). In these R&R markets, drinks brands have to look at how to establish new ways of supporting brands. Alcohol brands should be concerned about the slow creep of legislation. Closing down communications channels severs a connection between brands and people, leading to sector decline. A recent ONS survey found that the level of 16-24-year-olds who did not drink had risen to 27%, underlining the broader challenge the sector faces. In an R&R market, there are limited opportunities to grow market share and drinks companies find themselves unable to launch new products effectively. Retailers will disengage with a commoditised, low margin category, compounding the downwards spiral. Reduced profit margins inevitably follow, accompanied by the death of brand value. It’s a depressing vision, but the good news is that it doesn’t have to be like that. There is another possible future where investing ahead of potential R&R acts an insurance policy that almost always pays off. This is because most of it is either best practice or pushes alcohol brands into new areas that businesses and brands should be investing in. So, what can businesses and brands do now? One area for focus is to build more committed relationships with people and retailers. The brands that thrive in an R&R environment will be those who have invested in success on both the on and off-trade. Savvy brands already recognise the wider role that they can have in the on-trade as supporters of these businesses rather than simply suppliers. Trade businesses will gravitate to those brands that can demonstrate they are able to help and can become a brand’s best ambassadors. Investing in data and segmentation is crucial as this will become a tool to engage with retailers. By demonstrating greater understanding of consumer trends and tastes, brands can win a seat at the top table. Retailers are also looking for activity that builds their own overall business, so a thriving category is to everyone’s advantage. Don’t neglect new channels either. 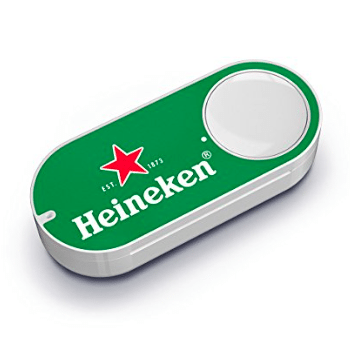 Heineken was recently unveiled as the first alcohol brand to have its own Amazon Dash button. The internet giant’s intended purchase of Whole Foods underlines its ambitions in FMCG markets. Carling already has a ‘beer button’ integrated into five major multiples, to help it combat the problem of brand visibility online, and drive loyalty. For alcohol brands looking to go direct to the consumer, R&R may have less effect than on those who stick with traditional channels. Other new channels, including social and word of mouth also need consideration. Craft brewers, like Brewdog, have successfully used social media to give the consumer a direct link with the brand that explains its world view as much as how it makes beer. As well as product marketing, it has used social to highlight finance raising, hire staff, and publicise bar openings. A restricted environment should spur brands to better understand the assets that really matter. The temptation can be to value hard-hitting seasonal activity over brand assets that can be taken for granted, such as design, logos and slogans. Research what brand assets have the greatest cut through and invest in them. The signifiers that connect with people may surprise you. With this is mind, brand stretch can become a useful tool. Look at the extra mileage Jack Daniels, Coca-Cola and Marlboro get through their forays into areas such as clothing. In some Middle East markets, beer brands market non-alcohol brews or malt drinks, keeping the brand alive without contravening strict ad bans. Brands can also go beyond pictures to brand words, associations, or even connections through other senses such as sound and scent. Witness the many people who still refer to the pre-Wimbledon grass court tennis championships as the Stella Artois tournament. It stopped sponsoring in 2008, but the association remains, a reminder of the long half-life of well executed marketing, and of the power of brand memory. For new product development, brands need to invest now, or not at all. It is an expensive activity and products needs at least three years to become embedded in the brand portfolio. Trying to launch in an R&R environment is like swimming with one hand tied behind your back – you’ll end up going in circles, and the consumer will get confused. Simplify everything, including the brand portfolio and brand communications. The simpler they are, the more likely they are to have continuity and be understood long-term, after R&R starts. Customers are already bombarded with meaningless marketing. Don’t add to the clutter, but focus on brain friendly creative that connects with people and is based on the 3Rs of recognition, resonance and relevance. Whether dark markets are coming or not, an R&R mind-set will only increase the effectiveness of your business, brand and marketing communications. Embedding a brand narrative in advance of possible legislation provides insurance for the worst-case scenario, and makes good business at any time.